The World Luxury Spa Awards, place Bio-Spa Victoria among the best luxury spas in the world and reward its excellence in service. This new concept, which is located in the hotel GF Victoria, adheres to the same commitment to sustainability as the hotel itself. One of the services that distinguish Bio-Spa Victoria is the personalized treatments with ecological, natural and local products. These awards, which are given annually, represent the maximum recognition of spa services worldwide. In words of the director of Bio-Spa, Abraham Portocarrero, “it is an honour to receive this magnificent distinction which rewards work and effort over a long period, but which has only just begun, since we will continue counting on the best professionals and the best therapies for the customer`s enjoyment. The prestigious World Luxury Spa Awards, one of the most important in the luxury spa sector, in which internationally renowned establishments participate, and aim to promote and raise service standards within the industry. This recognition is the result of the votes cast by the spa´s customers and reflects the commitment and dedication of the establishment that, with only one year of life, has achieved one of the highest distinctions in the sector. The awards ceremony will take place on 6th July at the official hotel of the Hermitage Museum in St. Petersburg, Russia, where luxury spas will be distinguished at regional, national, continental and global levels in 32 categories. 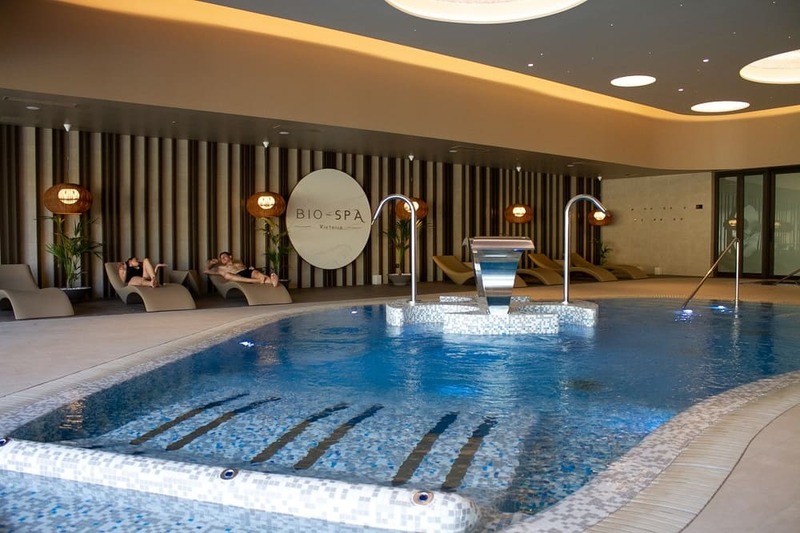 Bio-Spa Victoria is a new space offering a wide variety of treatments for the care of the body, mind and soul, including holistic treatments for relaxation, practice of a sport, the advice of a personal trainer, customized activities, meditation, and many others. GF Victoria is the new luxury five-star hotel of GF Hotels, the chain owned by Grupo Fedola, which offers the possibility of both rest and family entertainment unprecedented in the hotel map of the islands. This entry was posted in Hotel, News. Bookmark the permalink.